Beim Frontiers Festival 2017 hat nicht nur mich eine Band total überrascht und absolut weg geblasen: die L.A. Guns. Phil Lewis und Tracii Guns endlich wieder zusammen auf einer Bühne und das in Bestform. Ich muss gestehen, so hatte ich das nicht erwartet, ich dachte da kommen sicher ein paar eingebildete Alt-Poser auf die Bühne und geben einen arroganten Auftritt. Puhhh, weit gefehlt! Es war einfach nur grandios, von der ersten bis zu letzten Minute. Alleine schon das Intro (Diary Of A Madman von Ozzy) hat für Gänsehaut gesorgt. Und mir war gar nicht klar was für ein geiler Gitarrist Tracii Guns eigentlich ist. Am 13-10-2017 veröffentlichen die LA Guns ihr neues Album „The Missing Peace“. Die Vorabsingle „Speed“ ist schon mal absolut vielversprechend! Release date: October 13th 2017 – Frontiers Music s.r.l. 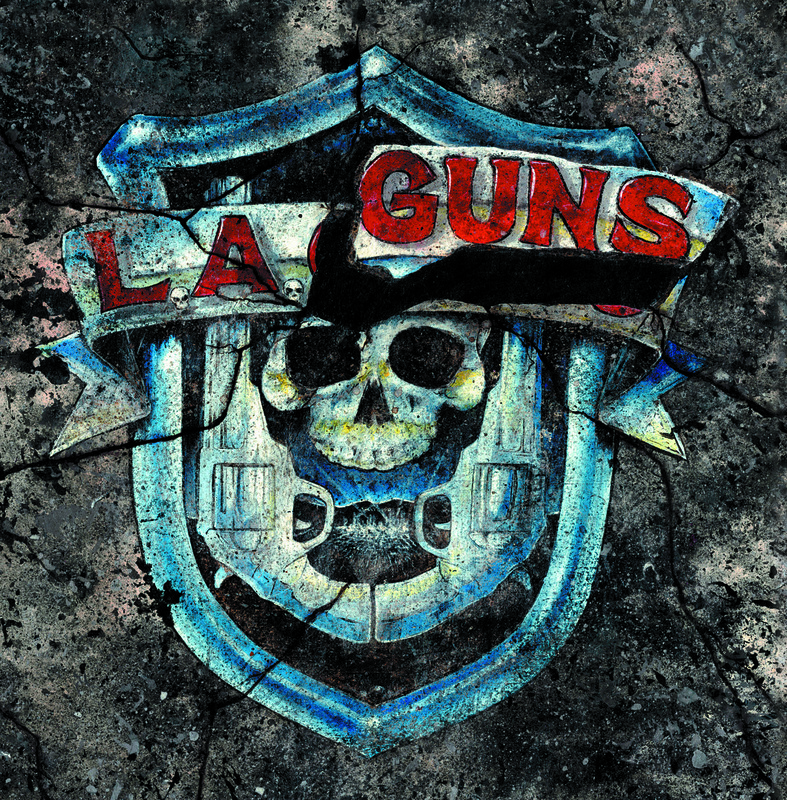 Band info: As the revival of the classic ‘80s hard rock and heavy metal scene continues unabated here in the 21st century, one reunion has been at the top of the wishlist of many a fan for a long time: the songwriting combination of Tracii Guns and Philip Lewis under the L.A. Guns banner. What once seemed like a distant memory with no hope of returning has now come around and fans are about to be rewarded for keeping their fingers crossed and their hopes up. L.A. Guns never looked like the pretty poster boys that so many of their peers did, but more the band that you would be terrified to bump into an alley as they would likely be carrying switchblades and ready for a fight. But despite having many a song to back up that image, the band could also write powerful ballads (see the smash hit, “The Ballad Of Jayne” for Exhibit A of this argument) that showed there was some serious songwriting chops in the band. Those chops are on fully display on “The Missing Peace”, arguably one of the most vital and exciting releases in the band’s catalog. The story of how we got from the band’s powerful early years to here has already been well documented, so no need to rehash it. What’s important to know and understand is that the driving force of all those classic L.A. Guns songs, Tracii and Phil, is back and in a BIG way. Feeling inspired and excited like they did when they first started out, but with many years of wisdom and experience under their belts, “The Missing Peace” will surely please fans of the band’s classic albums (the self-titled debut, “Cocked And Loaded”, and “Hollywood Vampires”) as well as their widely heralded “comeback” albums (“Man In The Moon” and “Waking The Dead”). In fact, this album feels like the next logical step after the critically heralded “Waking The Dead” album and shows a band invigorated and ready to bash you over the head, as well as “wow” you with some epic, slower songs, proving you don’t always needs a semi-truck to run people over.